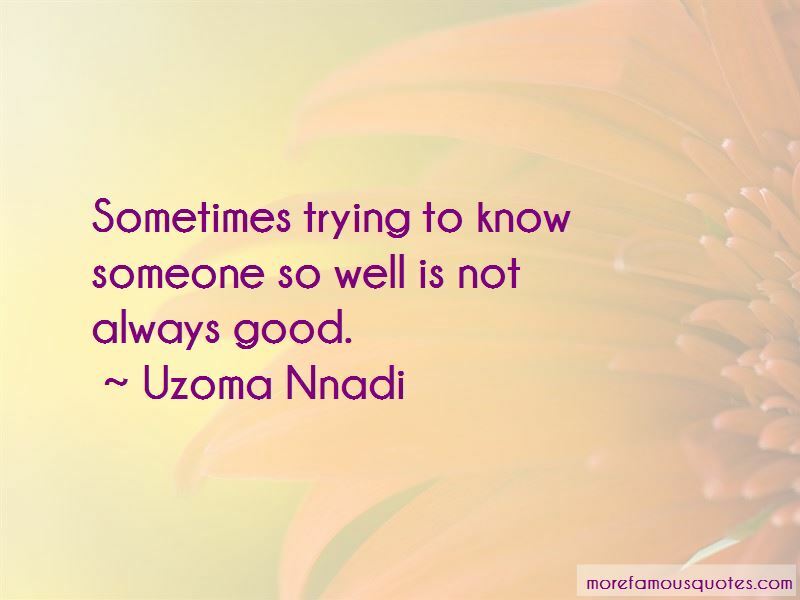 Enjoy the top 27 famous quotes, sayings and quotations by Uzoma Nnadi. I carefully choose people in my life and if you are not happy with it, then its your call to be angry, broken, disappointed and lose sleep over my choice, judgement & decision ... no apologies. 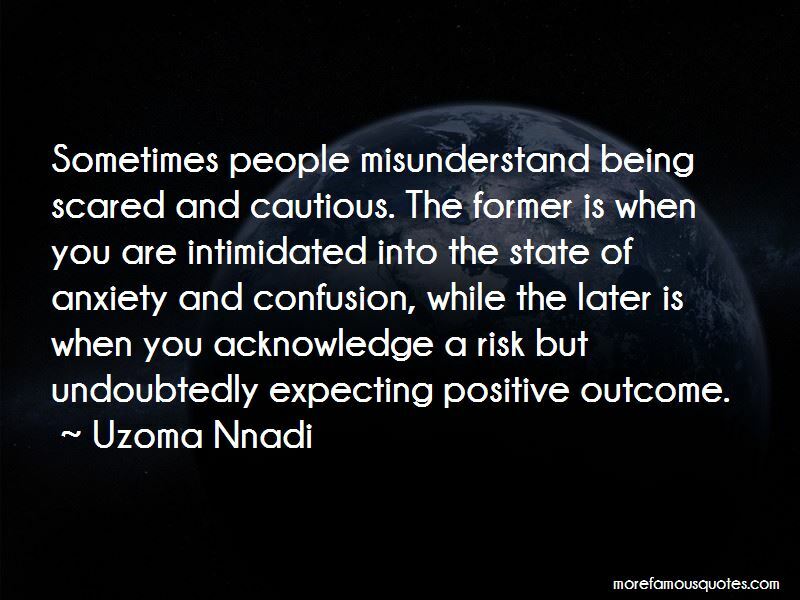 Sometimes people misunderstand being scared and cautious. The former is when you are intimidated into the state of anxiety and confusion, while the later is when you acknowledge a risk but undoubtedly expecting positive outcome. Pride is a human nature and it's good for people to be proud of themselves, achievements, etc. but too much of anything is not healthy. Humble is pride exhibited through humility, so be humble and prideful about being humble. When you get used to being let down, you will never be ashamed of failure. Everything in life changes after some time. Problems, stress, difficulties, etc. just give it some time and it will all fade away. When you meet someone you want to know, be very careful on how you sit on the driving seat to examine that person because you may end up putting yourself on a serious examination. Sometimes people lose interest & walk away after a chat because of the type of questions & silly discussions you engage in. Sometimes your highest intelligence end up exposing your foolishness. 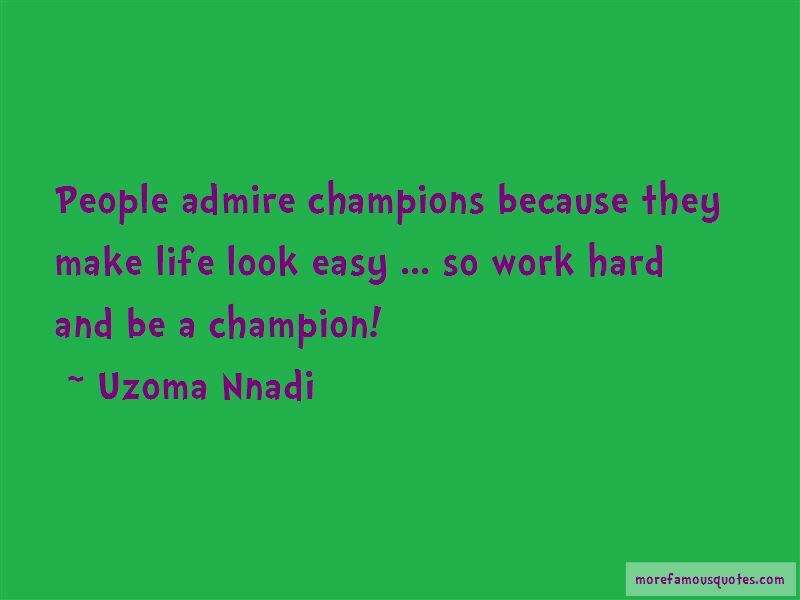 Want to see more pictures of Uzoma Nnadi quotes? 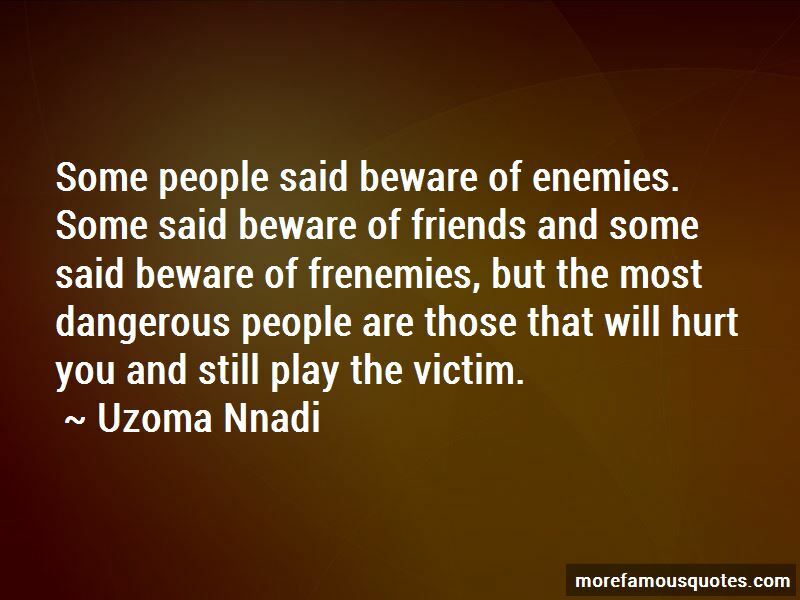 Click on image of Uzoma Nnadi quotes to view full size.